Last month, I told you about my absolute love for Aurelia Probiotic Skincare Miracle Cleanser (here). Because I fell hard for the cleanser, I then bought two more products from the brand: Refine & Polish Miracle Balm and Cell Repair Night Oil and I thought I would share my thoughts on them with you today. One is a love and one is a bit meh! Refine & Polish Miracle Balm is a hybrid exfoliator/mask. It is described as being a brightening, softening, decongesting and clarifying product - quite the claim but it sounds like my type of product. I really like the scent of this product; it contains essential oils of chamomile, eucalyptus, rosemary and bergamot which help to achieve its afore-mentioned claims. The texture is quite gritty and I quickly discovered that it was too harsh to use as an exfoliator on my sensitive skin. Instead, I used it as a mask. It reminded me of Ren Glycolactic Radiance Renewal Mask in terms of consistency, but, for me, it isn't nearly as effective as the Ren mask. For £57, I expected a LOT more from this mask. After using the mask for the first time, I couldn't see any difference (I prefer masks that deliver instant results) but I then assumed that it might be one of those products where results are more visible/noticeable after a few weeks of use. Sadly, this product is not for me. Personally, I felt that it just didn't live up to any of its claims. I will probably pass it on to my mother or a friend to see if they fare any better. Next up is Cell Repair Night Oil. I am currently having a love-in with oils - both for the face and body. This oil contains neroli, lavender, rose and mandarin oils so as you can imagine, it smells absolutely beautiful. This combination of oils is perfect for a night-time product because lavender is calming and mandarin is uplifting, without being stimulating. Some people find lavender to be an irritant, but I don't have any adverse reaction to it. I use this oil as the final step in my night skincare routine and one of the things I love most about it (apart from the scent) is that it sinks in immediately. The directions say to take two drops in your hands, inhale the scent and then massage into the skin, I use three drops to cover my entire face and neck and I really enjoy the process of massaging it into my skin. I absolutely adore this oil. My skin looks and feels nourished , more radiant and brighter and patches of dehydration that I am prone to have pretty much disappeared. I have been using it nightly for around 3/4 weeks and dread the day when I run out. At £45, it's not the cheapest oil but it contains 50ml compared to the standard 30ml bottle that most oils and serums come in. I really like Aurelia as a brand and their products are free from parabens, mineral oils, silicones, sulphates and a host of other nasties. Next on my list of products to try from then is their Revitalise & Glow serum. 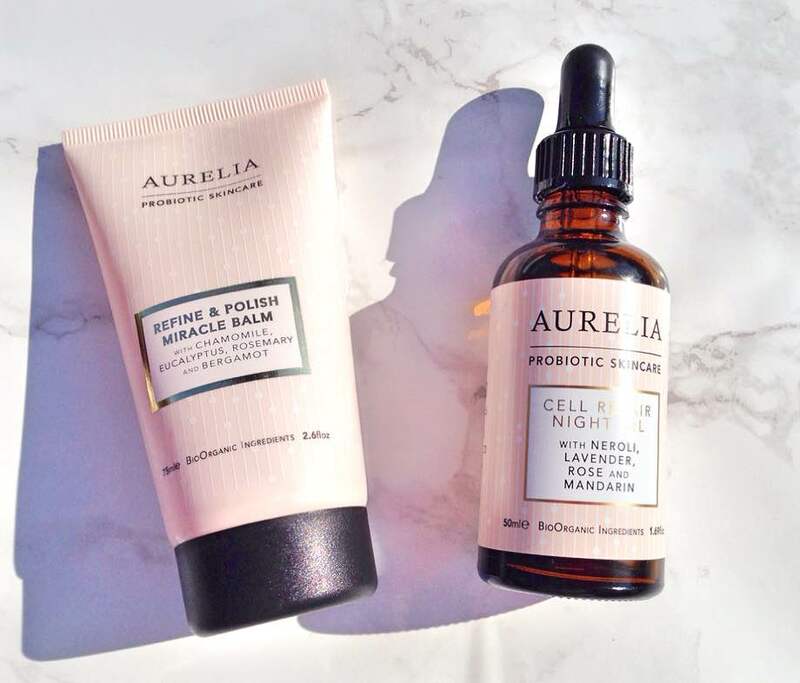 Have you tried any products from the Aurelia brand? Do these products sound like your kind of thing? Don't forget to enter my MAC Warm Neutrals Palette giveaway here. My top five nail berry toned polishes for Autumn! MAC Warm Neutrals 15 Eye Shadow Palette Giveaway!